Williams team founder Sir Frank Williams says he opposes any method of ‘invasive’ cost controls in Formula 1, while pushing for restrictions on driver salaries. Amid ongoing discussions over the future of F1 spending control, Williams said he did not want to see teams’ finances ‘interfered’ with. “I am against any kind of interference. I don’t want any third-party interference with one’s business, to have people sneaking around wanting to check this and that. 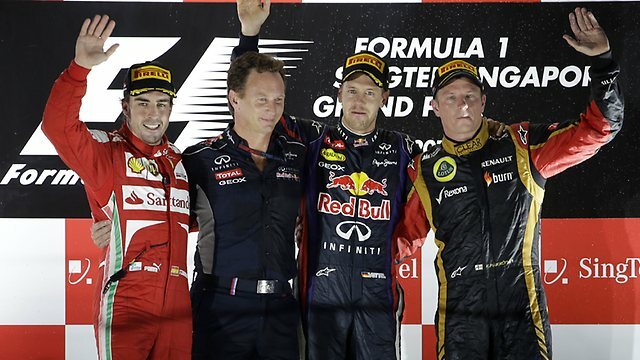 It’s just like waiting for the taxman every day,” he told the official F1 website. He feels people should accept that an element of financial inequality is inherent in F1. “There are 12 teams and each operates in different circumstances,” said Williams. “We have several manufacturer teams. One of them is Ferrari, who seem to have a great deal of money and who are in effect subsidised. But that is fine – they are Ferrari. They are the core of Formula 1 and that is how it should be. Formula One boss Bernie Ecclestone has offered to stump up £35 million ($54.5 million) to stage a grand prix around London’s famous streets, the Times reported on Thursday. The 3.2 mile (5.1 km) route will be unveiled when the full plan is presented later on Thursday, but it would take in landmarks including Buckingham Palace and Trafalgar Square, the report said. Organisers estimate 120 000 spectators would flock to the showpiece event – making it the biggest race on the tour – and hope the money they would spend would more than cover Formula One’s investment. “Think what it would do for tourism,” Ecclestone told the paper. “It would be fantastic, good for London, good for England – a lot better than the Olympics,” he added. Three days after Fernando Alonso’s victory in Valencia, a Ferrari Formula 1 car was back in action in Spain as Marc Gené tested various aerodynamic parts at IDIADA. Revealed by Barcelona’s Sport, the test – one of the numerous straight-line runs permitted during the season – was to trial a number of aerodynamic elements, as this is the area in which Ferrari has struggled most so far in 2012. The enormous IDIADA facility is located near to the town of El Vendrell, an hour’s drive south-west of Barcelona. Although Alonso leads the Drivers’ Championship and is the first man to win two races this year, company Chairman Luca di Montezemolo has already stressed this week that the Scuderia is still not at an acceptable level in comparison with Red Bull.